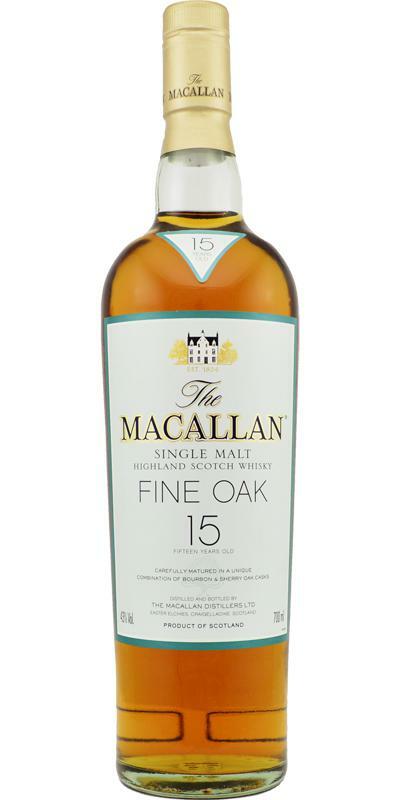 I enjoyed nosing this Macallan 15yo Fine Oak, but the oak dominates the palate a bit and the finish leaves something to be desired. All in all a decent whisky though. Fresh with lots of orchard fruits. Nectarines, pears and honey glazed apples as well as red apple peel. Also butterscotch, saw dust and dried grass. Has a dusty quality too. Vibrant oak, giving it a slight bitterness, with plenty of spices (cinnamon, nutmeg). A bit sweeter now with vanilla and a hint of fudge. The oily mouthfeel is pleasant, but it's too bad there's not much of the fruitiness left that I found in the nose. Sweet, drying and short to medium in length. The nose is not particularly expressive but it is easy drinking with a smooth finish. gently warming spices, more fresh fruit and a touch of drying oak. This is a very tastefull whisky. It's warming,. Very pleasant and I consider to add it to my wishlist. Very fresh. There is honey, pineapple and vanilla. But also chocolate, caramel and a hint of cinnamon. Spicy but after that: sweet. Honey, pineapple and a bit oak. Properly tingling. Later on the sweetness of tropical fryuits and honey. Also vanilla. Pleasantly spicy, sherried fruits and good vanilla and brown sugar too. Prefer their sherry monsters but a good quality whisky. 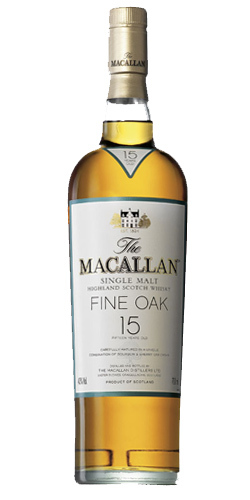 I must admit I like the Macallan expressions with heavy sherry better than this one. Still, very drinkable, not bad at all, but not a must have for me. Big malt and sharp oak (not surprising given its name). Some drying sherry, spices, and fresh citrus fruit. Sweetness of mostly vanilla and burnt sugar. The oak gives this a slight bitterness. The malt is big again, and the drying effect of both the oak and hint of sherry is notable. The fruits are less obvious now, the spices more. An oily texture and the vanilla adds a necessary sweetness. Medium. Still quite drying, and I can't seem to shake that odd bitter note. I can't decide whether that's nice or not. It's definitely oak, so they got that point across. The spicy vanilla and malt at the end is pleasant.